Scientists have long known about such animal kinship attachments, some known as "imprinting," but the mechanisms underlying them have been hidden in a black box at the cellular and molecular levels. Now biologists at the University of California San Diego have unlocked key elements of these mysteries, with implications for understanding social attraction and aversion in a range of animals and humans. Davide Dulcis of UC San Diego's Psychiatry Department at the School of Medicine, Giordano Lippi, Darwin Berg and Nick Spitzer of the Division of Biological Sciences and their colleagues published their results in the August 31, 2017 online issue of the journal Neuron. 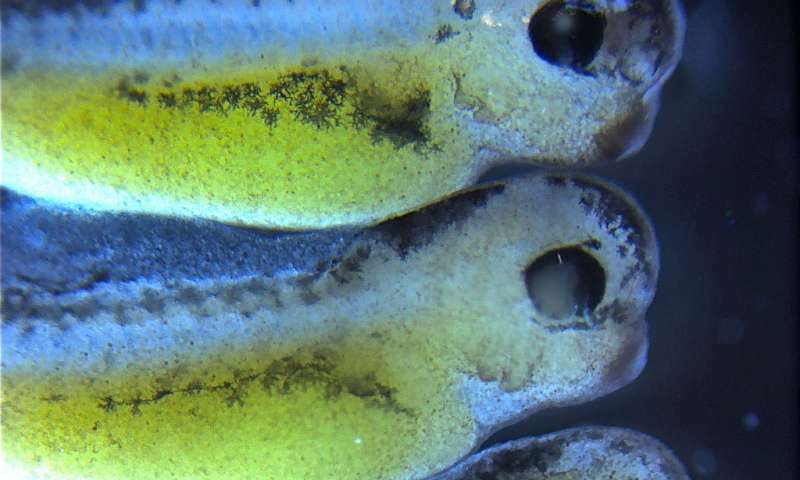 In a series of neurobiological studies stretching back eight years, the researchers examined larval frogs (tadpoles), which are known to swim with family members in clusters. Focusing the studies on familial olfactory cues, or kinship odors, the researchers identified the mechanisms by which two- to four-day old tadpoles chose to swim with family members over non-family members. Their tests also revealed that tadpoles that were exposed to early formative odors of those outside of their family cluster were also inclined to swim with the group that generated the smell, expanding their social preference beyond their own true kin. The researchers discovered that this change is rooted in a process known as "neurotransmitter switching," an area of brain research pioneered by Spitzer and further investigated by Dulcis in the context of psychostimulants and the diseased brain. The dopamine neurotransmitter was found in high levels during normal family kinship bonding, but switched to the GABA neurotransmitter in the case of artificial odor kinship, or "non-kin" attraction. "In the reversed conditions there is a clear sign of neurotransmitter switching, so now we can see that these neurotransmitters are really controlling a specific behavior," said Dulcis, an associate professor. "You can imagine how important this is for social preference and behavior. We have innate responses in relationships, falling in love and deciding whether we like someone. We use a variety of cues and these odorants can be part of the social preference equation." Sequencing helped isolate two key microRNAs, molecules involved in coordinating gene expression. 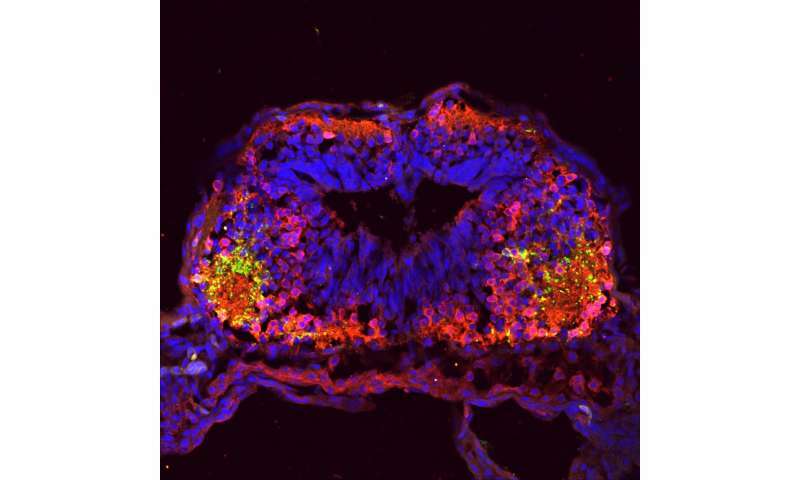 Sifting through hundreds of possibilities they identified microRNA-375 and microRNA-200b as the key regulators mediating the neurotransmitter switching for attraction and aversion, affecting the expression of genes known as Pax6 and Bcl11b that ultimately control the tadpole's swimming behavior. "MicroRNAs were ideal candidates for the job," said Lippi, a project scientist in Berg's laboratory in the Division's Neurobiology Section. "They are post-transcriptional repressors and can target hundreds of different mRNAs to consolidate specific genetic programs and trigger developmental switches." The study began in 2009 and deepened in size and scope over the years. Reviewers of the paper were impressed with the project's breadth, including one who commended the authors "for this heroic study which is both fascinating and comprehensive." "Social interaction, whether it's with people in the workplace or with family and friends, has many determinants," said Spitzer, a distinguished professor in the Division of Biological Sciences, the Atkinson Family Chair and co-director of the Kavli Institute for Brain and Mind at UC San Diego. "As human beings we are complicated and we have multiple mechanisms to achieve social bonding, but it seems likely that this mechanism for switching social preference in response to olfactory stimuli contributes to some extent."